This is a simple Pomodoro style timer I made using a Proto Shield, an Arduino clone, a NeoPixel 24 LED ring clone, and various bits and pieces from my parts drawer. The single button is wired to pin 3 of the Arduino using a simple RC debounce circuit featured some time ago on Hackaday. It’s probably not needed, but what the hell. 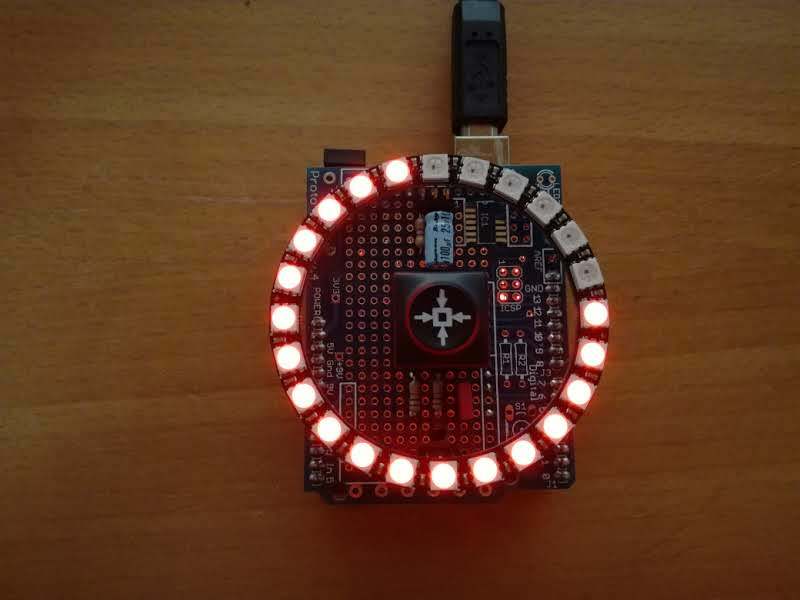 The LED ring is wired to pin 6 (like it is in every NeoPixel code example I’ve seen so far). As suggested a few places, I have a 470 ohm resistor in series with the data pin, and a electrolytic capacitor across VCC and GND. Like the debounce circuit, these are also probably not needed. 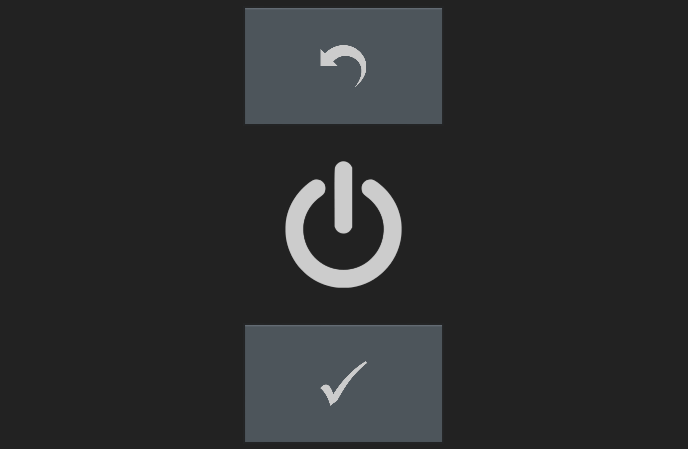 Long button presses (> 500ms) will turn the device on and off. This also resets the timer. Short button presses will add 1 minute to the current timer. Each pomodoro consists of 25 minutes of work (red color) followed by a short 5 minute pause (yellow color). Every fourth pause is a longer one of 25 minutes (green color). Between each pomodoro, the device will briefly flash which number is (blue color). 1 quarter of the ring = 1 pomodoro. The devices all looked a bit gnarly, but after a bit of clean-up I powered them on one by one and had a look using my RTL-SDR receiver. All three devices worked and transmitted on 433MHz. Yay! But as my RPIWeather base station only supported the nRF24L01 2.4GHz transceivers, I had to make and add a new 433MHz receiver to it. 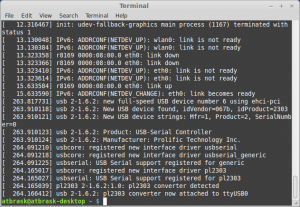 At first I toyed with the idea of simply adding an RTL USB-dongle to my Raspberry Pi and simply use GNU Radio (or some other SDR framework) to receive the signals. But that seemed a bit overkill. And I’m not even sure a first generation Raspberry Pi is powerful enough for this to work properly. Fortunately, the usual Chinese Ebay sellers offer a few different generic 433MHZ ASK/OOK receiver modules. I ended up choosing one called RXB12 which features a Synoxo SYN470R IC. It’s reasonably sensitive across the 433MHz spectrum, but doesn’t offer any I/O besides a continuous stream of binary data (which is just random noise most of the time). 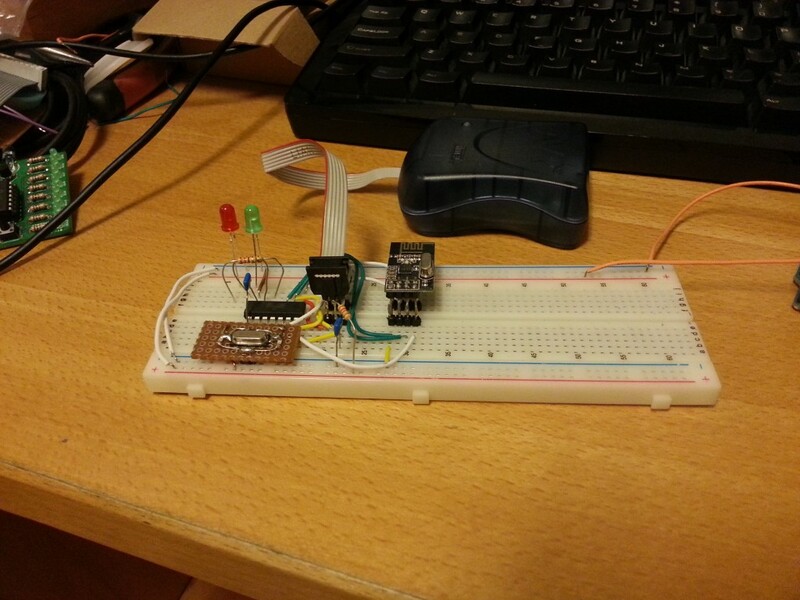 The rest of the prototype was an Arduino Uno, but any old Arduino will do. In parallel with my prototype Arduino setup, I also hooked up my logic analyzer (a cheap Cypress-based Saleae Logic clone) to eavesdrop on the serial data stream from the radio chip. The protocol appears to be the one known as “Oregon Scientific V1”, which is a somewhat old protocol exclusively used for temperature-only sensors. Once you realize that this is identical to a LaCrosse TX3, you are done. 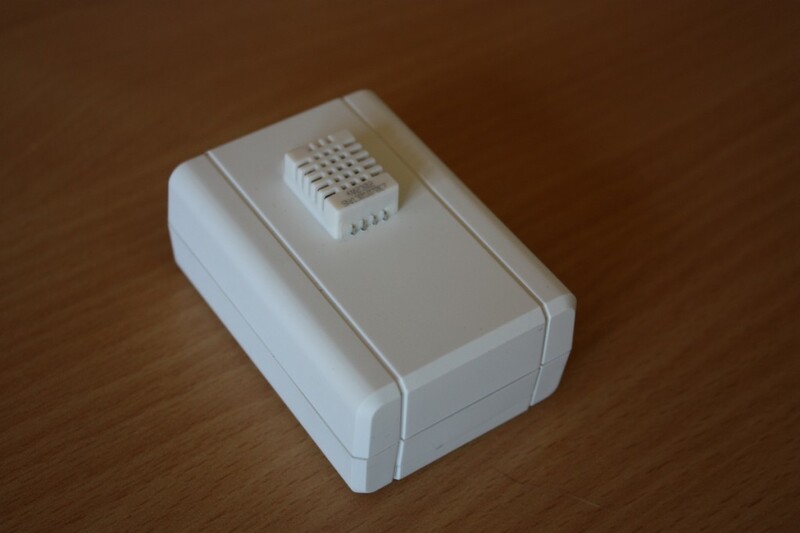 This is a very popular sensor and its protocol is quite well known. It is unfortunately not the TX3-TH variety that also reports relative humidity, but at this price (free) I’ll take it. The protocol used by this unit is a bit different. At first glance it looks like identical short bursts until one looks at the intervals between the bursts. Short intervals mean 0 and long intervals mean 1. The unit sends 36 bits 7 times. My Google-fu didn’t find a lot of information about this one, but apparently the protocol seems to be very similar to the ones used by other unbranded china-devices. The so-called checksum used by this device is somewhere between useless and batshit insane.. Have a look in the code for the dirty details. Interestingly enough, this is just a rebranded Oregon Scientific unit that (unsurprisingly) uses the so-called “Oregon Scientific V2” protocol. 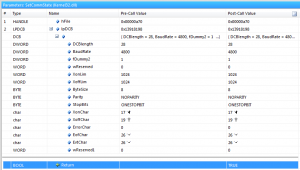 To ensure data integrity, the signal is sent twice and each instance includes both a nibble checksum and a byte CRC8. 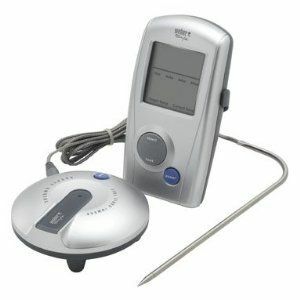 Having a wireless BBQ thermometer with data logging is actually very useful when doing slow-food like pulled pork where the smoker has to be monitored regularly over a period of several hours. It’s suddenly very easy to pick up on small changes in the rate of temperature increase inside the meat. This enables very fine-grained control of the air vents in the smoker as well as an indication if more coal or water is needed. Finally, it allows me to accurately predict several hours in advance when the meat will be done. There is no way of setting user-defined temperature alarms. The unit is shipped with a small number of factory presets depending on the type of meat and doneness, but the selection is extremely limited. The transmitter sends quite accurate readings with a resolution of 0.1 degrees Celcius, but the receiver unit just rounds this number to the nearest integer. This may be OK for most use-cases, but it’s very annoying for me when I want to keep a close watch on things. Sound alarms cannot be changed/muted. 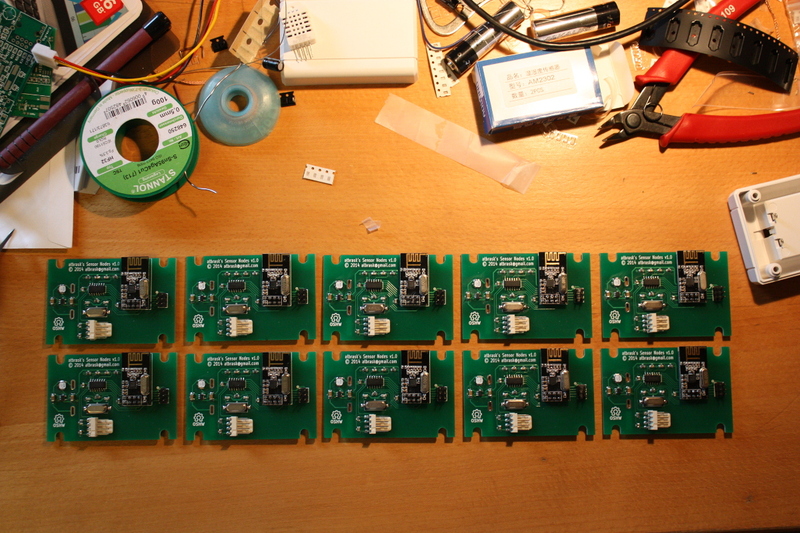 I had a few DIP ATtiny84s left over from the prototype phase of my own sensor nodes. Using one of these I was able to make a sufficiently compact module that listens for these known data packets on 433MHz and then forwards them to my Raspberry Pi using its internal UART RX pin. 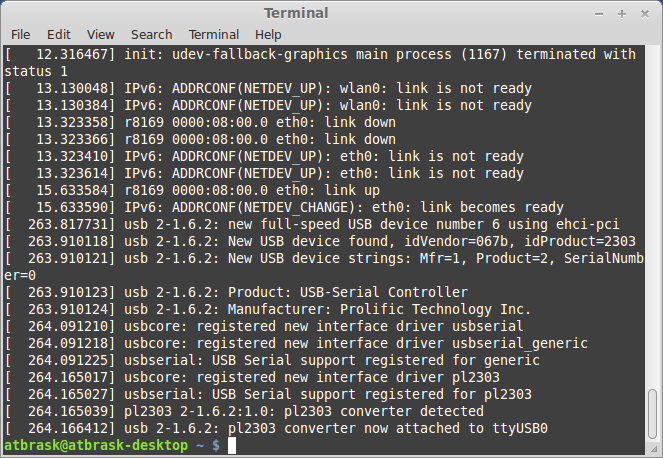 For this to work, I had to stop Linux from using the internal UART pins for a serial console interface. But it was a small price to pay, I think. My own 2.4GHz sensor nodes. 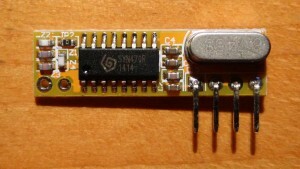 The receiver is connected to the internal SPI pins. 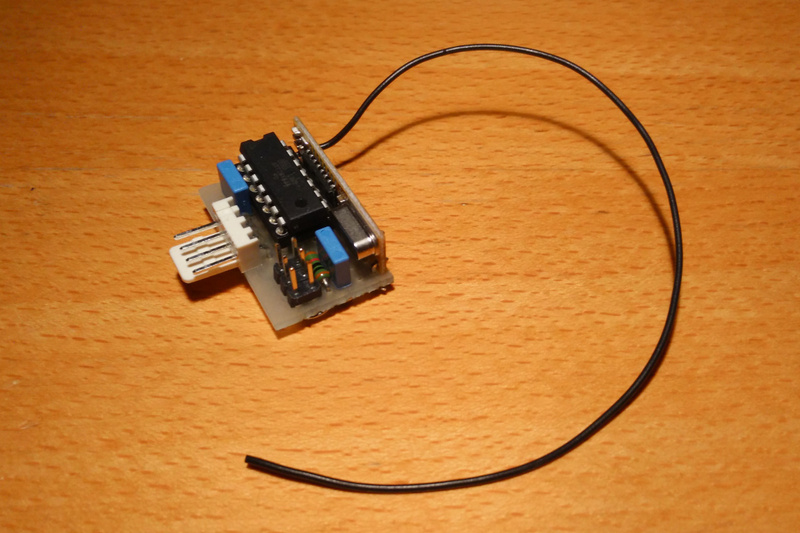 The above-mentioned 433MHz thermometer sensors. 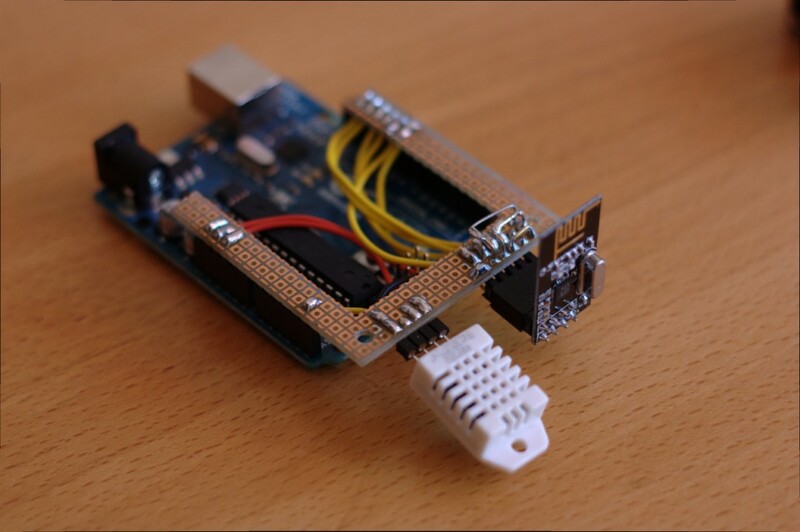 The receiver is connected to the internal UART RX pin. A Bosch BMP180 barometric sensor for measuring atmospheric pressure. It is connected to the internal I2C pins. All code and schematics can, as usual, be found on GitHub. In our living room we have an “Ecoteck Francesca” wood pellet stove that helps us keep a reasonable temperature during winter. 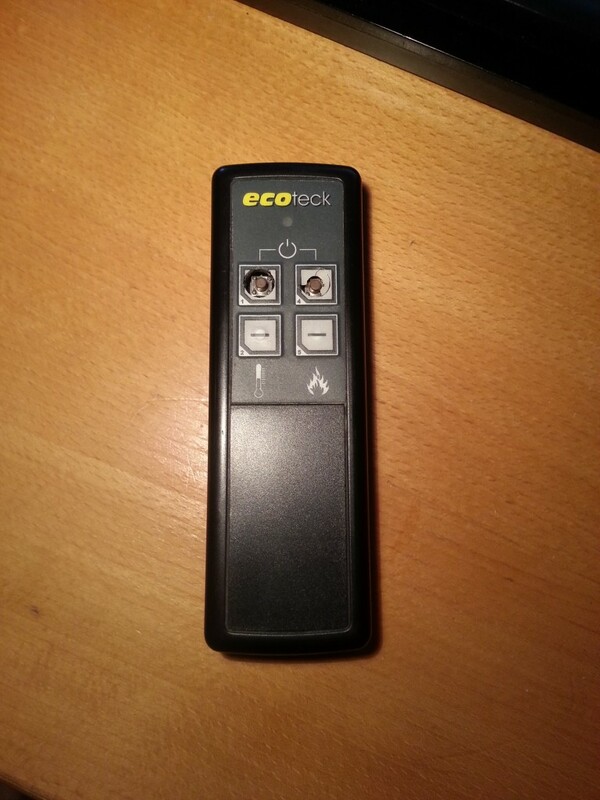 The problem is, however, that the remote control is horribly bad (yes, it has a friggin’ remote control). At this point I have already had to replace the buttons in it once, as the old ones were beginning to wear out. 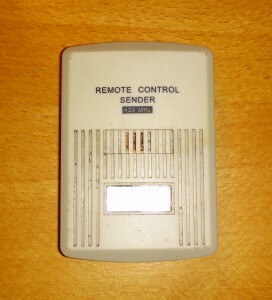 So, for the long run we might have to find some sort of replacement of this remote control. Fortunately, our Samsung tablet has an IR transmitter on-board that would be perfect for this. There’s even an easy to use Android API for accessing it. The problem is then that the tablet has no built-in way of “recording” the IR signal from the old remote. And the protocol is nowhere to be found online (until now, that is). 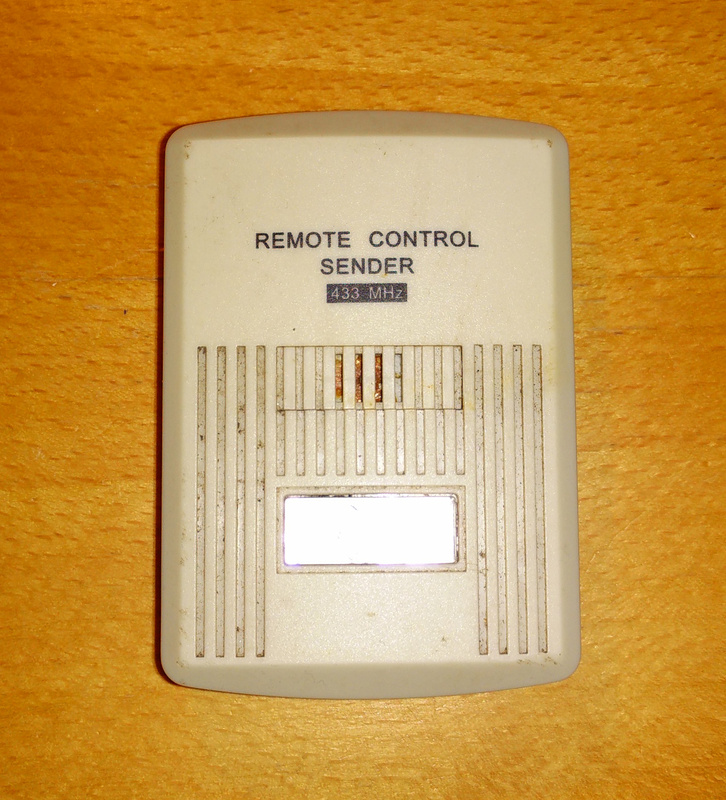 So before we can create an Android app, we need to get the codes and modulation settings from the old remote control. One approach would be to get the USB Infrared Toy from Seeed and record the transmitted codes directly, but instead I decided to try out a simple logic analyzer I just received in the post from China. 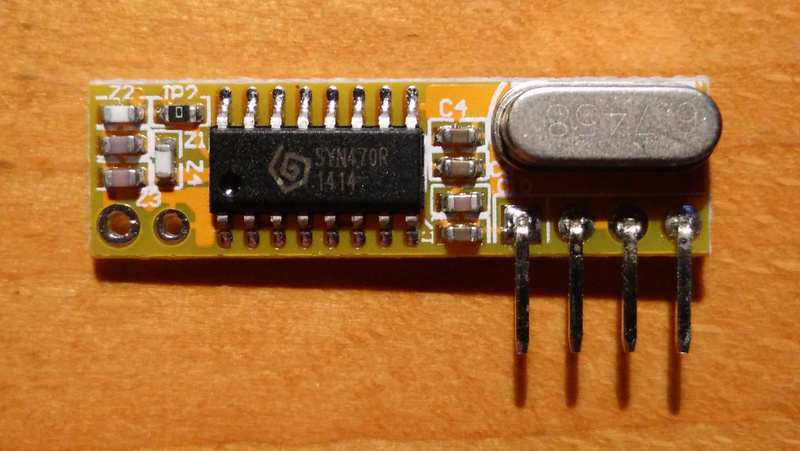 It’s not really a logic analyzer per se, but rather a breakout board for the Cypress CY7C68013A MCU, which is the same chip as the one in the original Saleae Logic. It even enumerates as a Saleae device when I plug it in. So, basically it’s a knockoff. Naughty Chinese! However, word on the interwebs has it that it won’t work with recent versions of the Saleae Logic software due to some minor hardware differences regarding the onboard EEPROM chip. 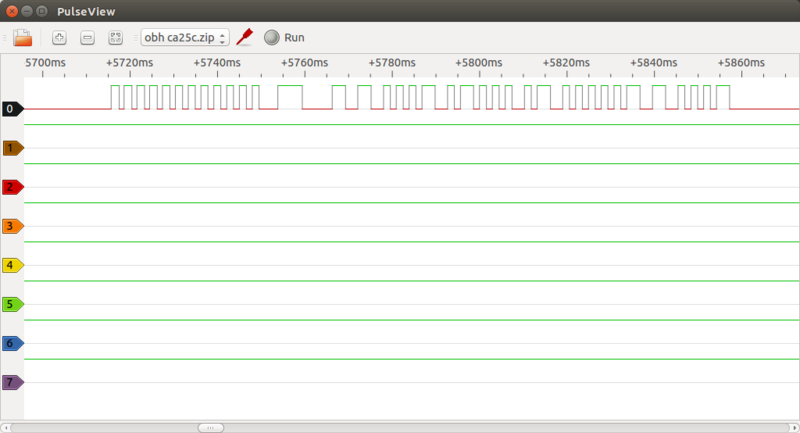 But all this doesn’t matter, as I’ll be using the open source PulseView tool from the sigrok project instead. 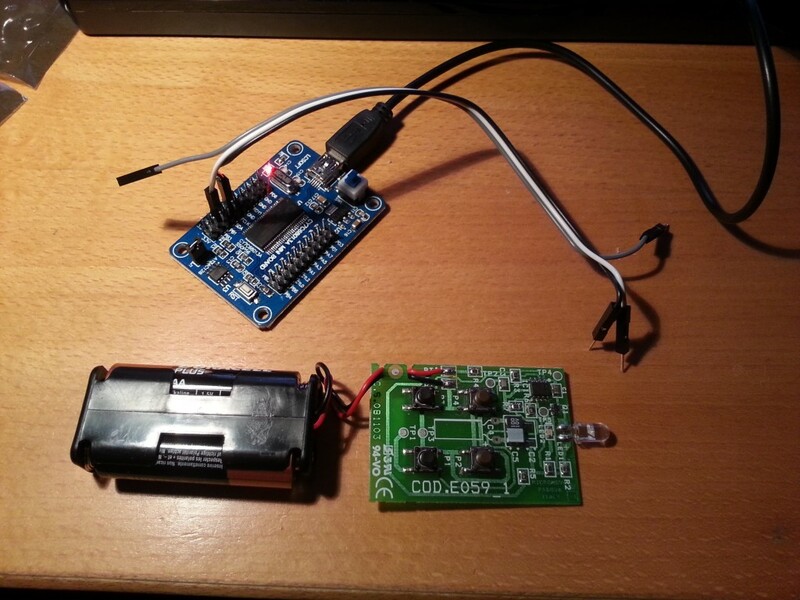 It’s not necessary to build a fancy IR receiver. Just open the remote control and attach a couple of probes across the IR LED. The voltage drop here is big enough to trigger the logic analyzer. 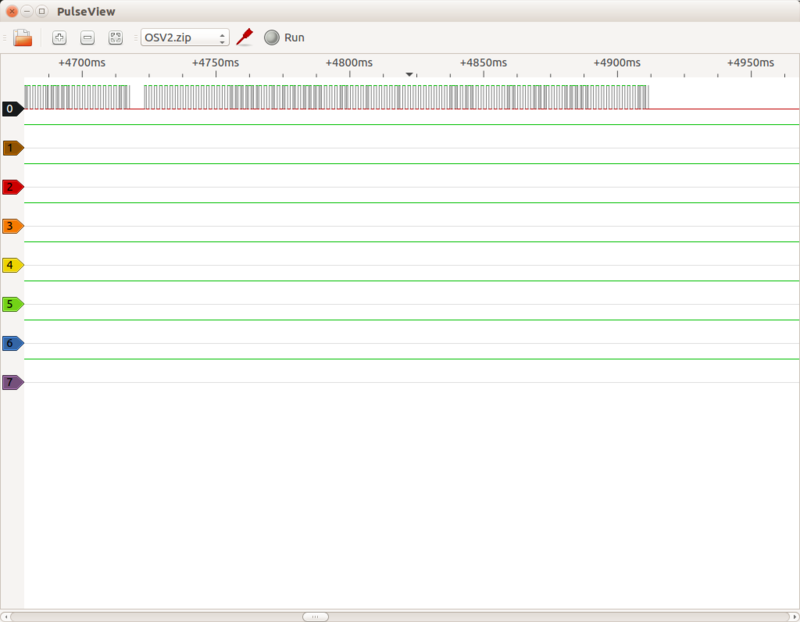 I started the analysis by having a look at the signal itself by sampling at 24 MHz and pressing a button. The signal consists of a series of infrared pulses, which seems to be grouped into blocks. An “on-block” is 30 pulses long. An “off-block” has no pulses, but lasts for the same duration as an “on-block”. Each individual pulse is on for 8.25 μs and off for 19.625 μs except for the last cycle of each block which is only on for 5.25 μs. The interval between the last pulse of a block and the first pulse of the next block is 28.5 μs. 29 pulses, 1 end-of-block pulse, and the beginning of the next block. Thus a normal pulse is 27.875 μs long, which means a modulation frequency of 35874 Hz. I don’t know if the duty-cycle matters at all. Time will tell… The length of a block (incl the inter-block distance) is then: 29 * 27.875 μs + 5.25 μs + 28.5 μs = 842.125 μs. Now that we have the signal timings we can zoom out a bit. For the rest of the analysis a lower sampling rate is sufficient. In the following 1 means a high block and 0 means a low block. Now we have all the necessary data we need to create a compatible remote control. Based on these codes, I have made a simple Android widget that should work on any phone/tablet that has an IR transmitter and runs Android 4.4.2 (API level 19). 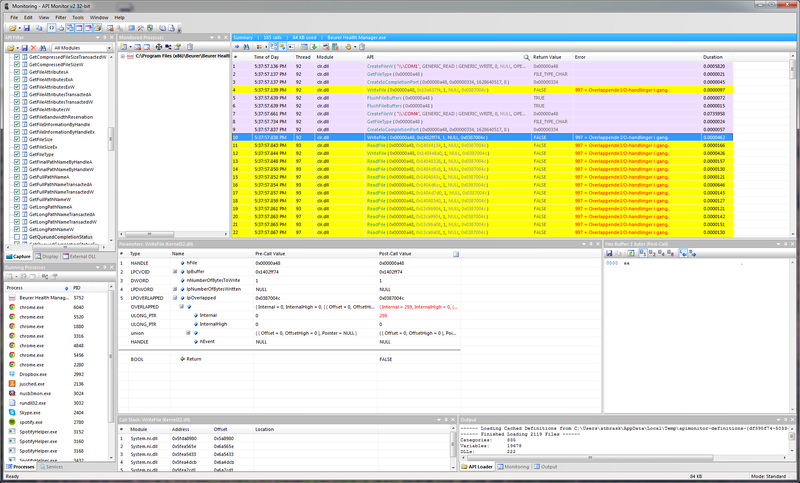 It relies on the ConsumerIrManager class that was added in that release. As usual, all code for this project can be found on GitHub. If you have any questions, please comment below. 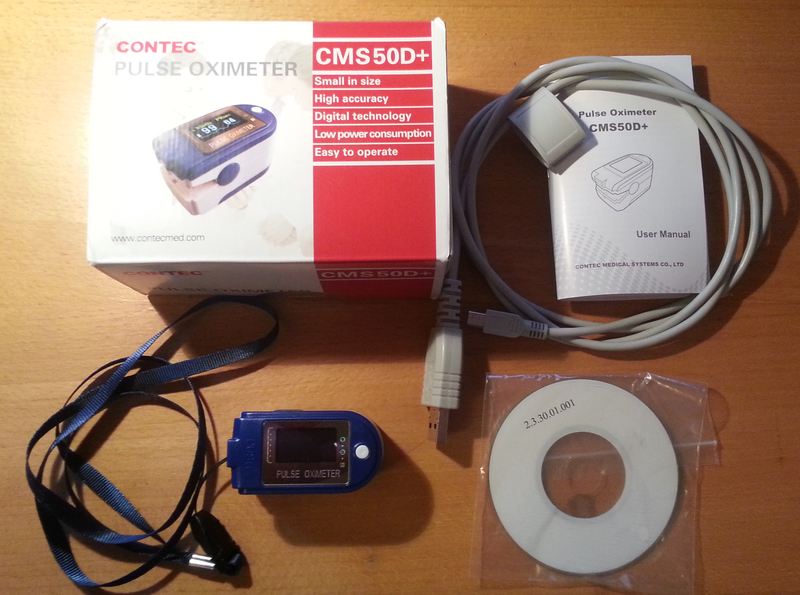 So, in my previous post, I wrote a bit about retrieving live 60 Hz data from a Contec CMS50D+ pulse oximeter. 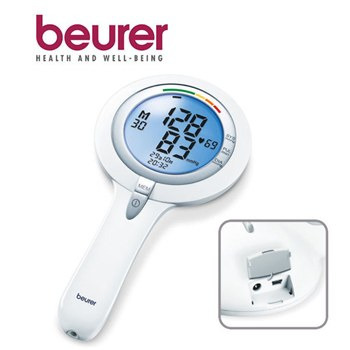 As mentioned, the device also has another standalone mode where it records pulse rate and blood SpO2 at 1 Hz for up to 24 hours. That is, if your batteries last that long. This thing is quite power hungry. Open a connection at 19200 baud, 1O8 with xonxoff enabled. Listen for live data. If we get none, the device is disconnected or turned off. Send [0xF5, 0xF5]. This switches the device to download mode. Wait for the preamble. It’s three times [0xF2, 0x80, 0x00]. In the beginning we might also have some leftover live data. Then we get the content length as three bytes. See below for an explanation. Receive the specified number of bytes. Each measurement is three bytes. See below for an explanation. Sometimes the download fails and halts midway for some reason and has to be restarted. Send [0xF6, 0xF6, 0xF6]. This switches the device back into live mode. Now you should have a bunch of data to insert into a spreadsheet or whatever. The length header tells us how many bytes of data the device will send. It consists of three bytes. 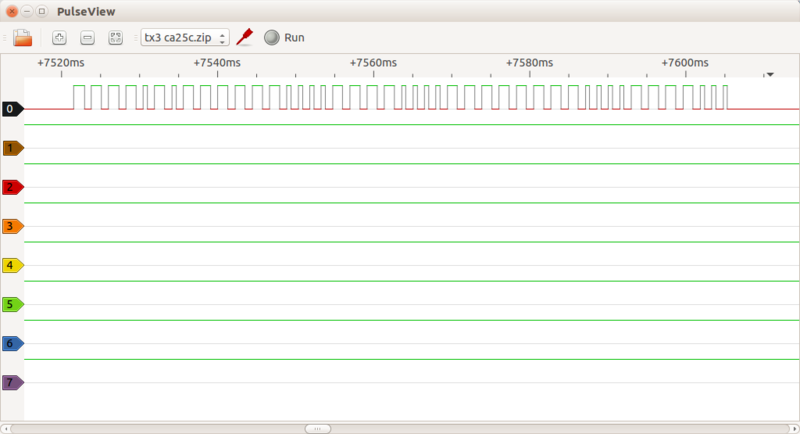 The first two bytes always have their MSB set while it’s never set on the last. This gives us 21 useful bits which is enough. If we have recorded 24 hours of data, this will yield 24 * 60 * 60 = 86400 measurements. And if each measurement is three bytes, then the maximum content length will be 259200 bytes. This only requires 18 bits. We have received the length header [0x81, 0x8A, 0x2C]. 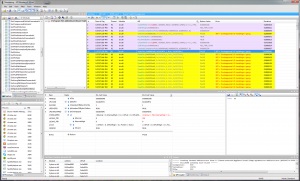 Validate and strip off MSBs from the first and second byte. Now we have [0x01, 0x0A, 0x2C]. 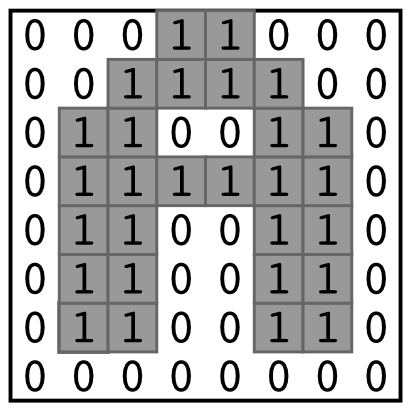 Left-shift the first byte by 14 bits and the second byte by 7 bits. Combine the three numbers by using the bitwise OR operator. Now we have 0x452C or 17708 in decimal. Add 1 to the result. This means that the content length is 17709 bytes. 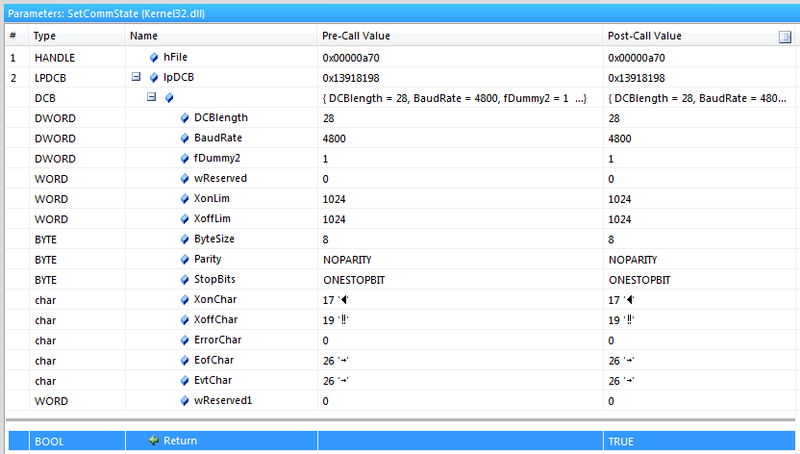 Each measurement is three bytes, so we have 17709 / 3 = 5903 measurements. As the device samples at 1 Hz, this means 1 hour 38 minutes and 23 seconds worth of data. 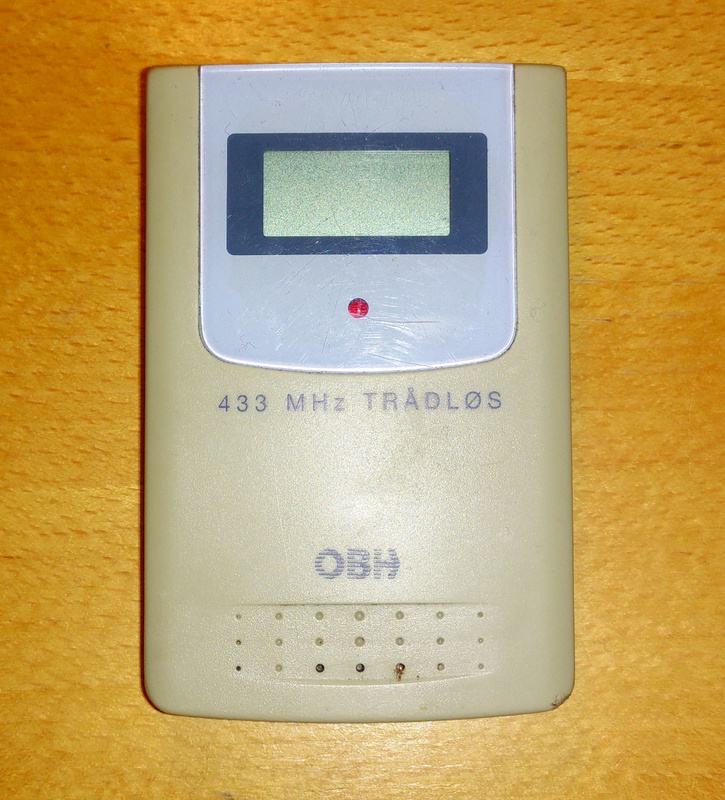 Each measurement consists of three bytes. The first byte is always 0xF0 or 0xF1. The 1 is the MSB of the pulse rate in the next byte. The third byte is the SpO2 percentage. Again, all code for this project can be found on GitHub. If you have any questions, please comment below. 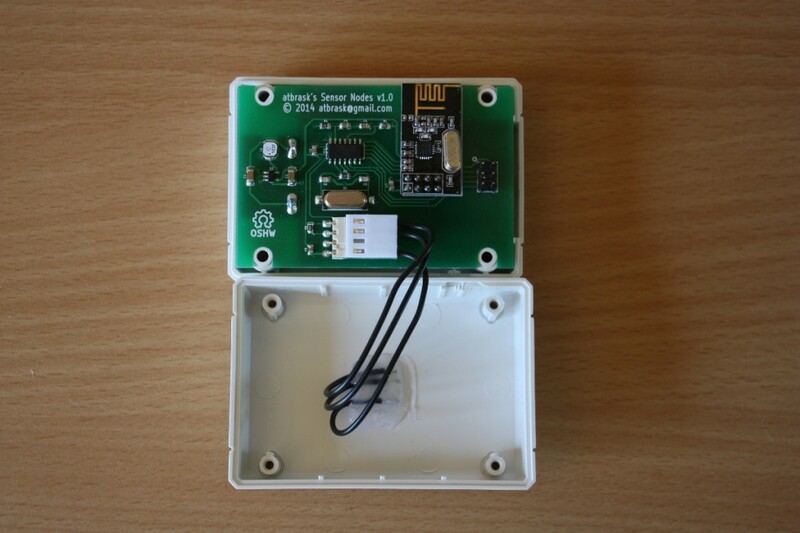 Some of the first posts on this blog were about how to interact with the famous nRF24L01 2.4GHz radio chipset from both an Arduino and a Raspberry Pi. Well.. Much have happened in the mean time, but at least I have managed to put together something using what I learned back then. I decided to make a wireless monitoring system for environmental data in and around our house with at least one sensor node in each room as well as a couple of sensors outside. It is called RPIWeather and you can get all the code and documentation by clicking the name. This post is just meant as a short summary. 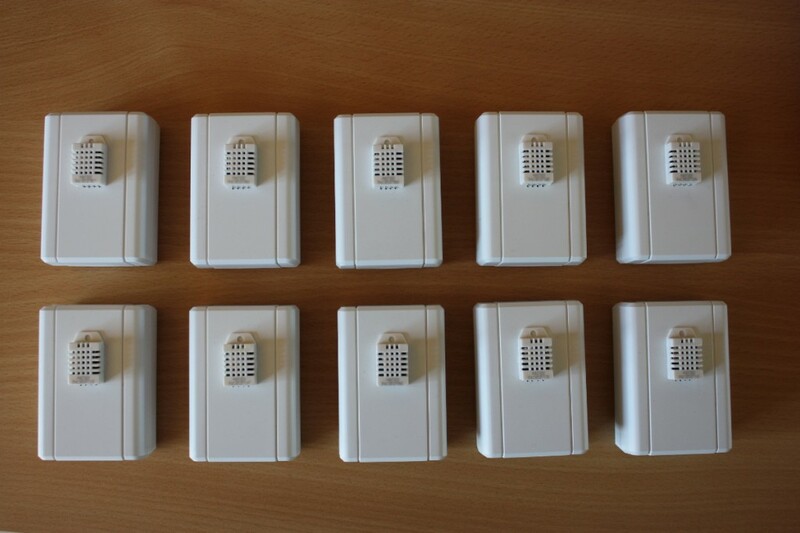 RPIWeather consists of a bunch of wireless sensor nodes, a base station that collects the data packets, a database server, and one or more frontends. My goal has been to collect data at 5 minute intervals and keep it indefinitely for analysis, comparison, and visualization. This creates some demands for power efficiency and reliability, which I find interesting. To keep things simple, clean, and small, I decided to ditch the Arduino platform and code in straight avr-libc for the ATtiny84 chip from Atmel. So I made another prototype, but this time with an ATtiny84 instead. 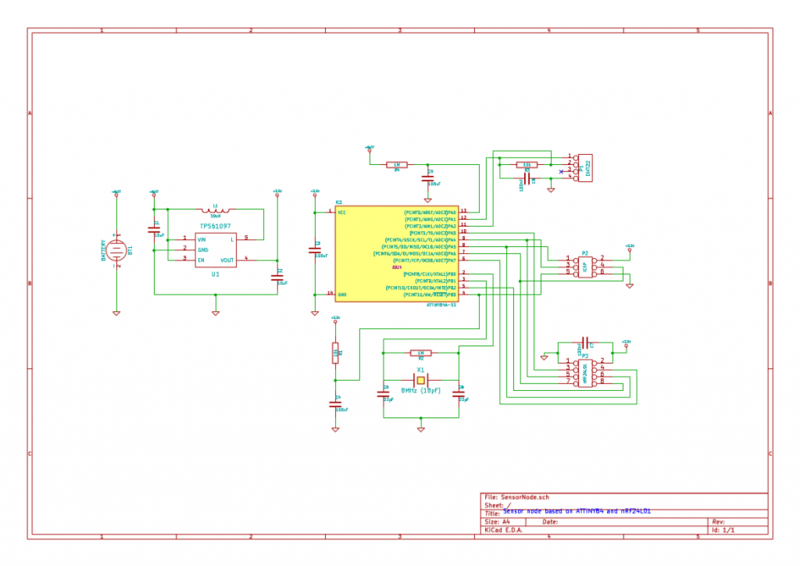 Little by little a schematic emerged. Besides the radio, the sensor and the MCU, I also needed some sort of power supply. As the sensor nodes are to be distributed throughout the house, this implied battery power, but it couldn’t just be any old battery. The thing is that the radio chip can only tolerate up to 3.6v and the DHT22 sensor can only operate down to ~3v, which leaves a narrow band of usable voltages. A traditional voltage regulator would have burned though the batteries quite quickly, so I had to put in a switching boost converter. This way 2 AA NiMH batteries can deliver a reasonably stable 3.3v supply voltage for the circuit. 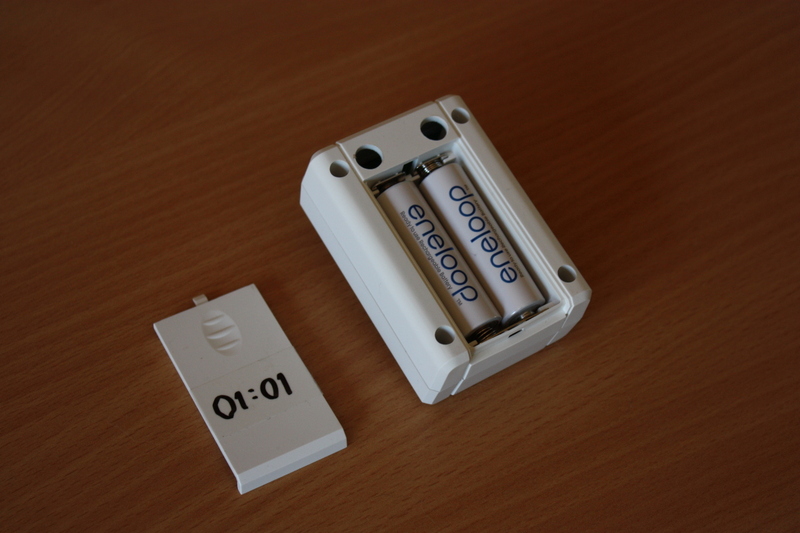 Pro tip: when buying NiMH batteries, do yourself a favor and use the low self-discharge kind like Eneloop. In this use-case they will go for several months between charges. 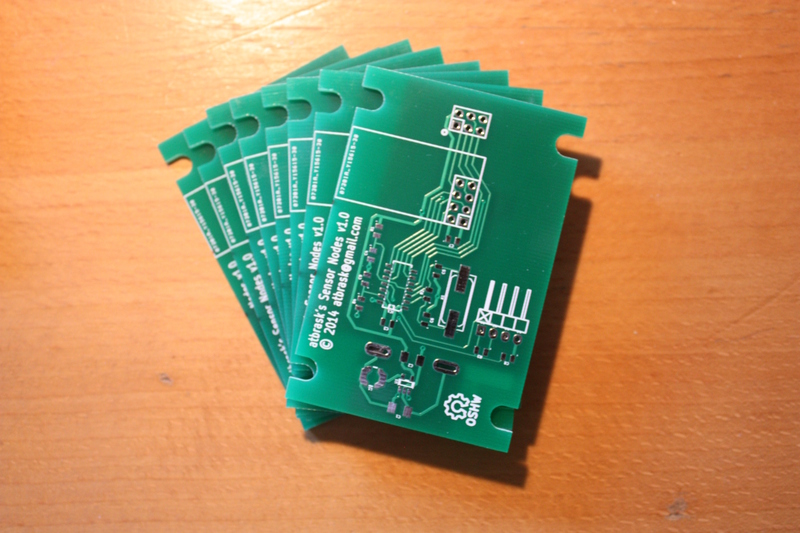 With the schematic in place, I made a PCB layout and sent it to ITEAD for manufacturing. Here are a couple of pictures showing various stages of assembly. The funny shape of the boards was needed to make them fit snugly into some cool boxes from New Age Enclosures. They work! 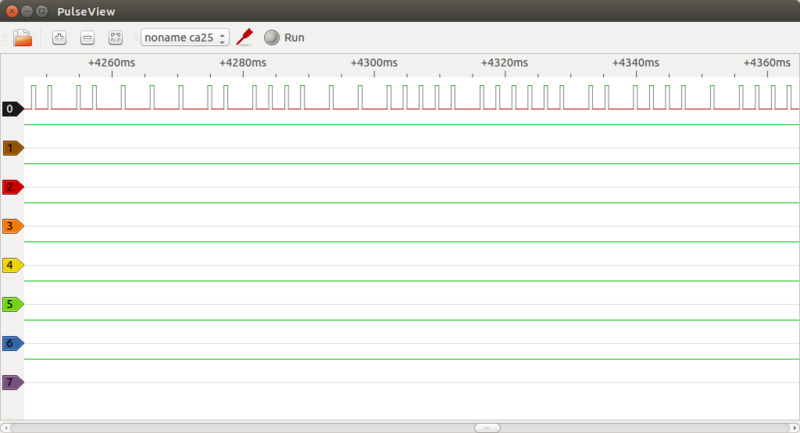 I have tested concurrent operation of 10 units without major problems. I use a Raspberry Pi as base station. To make it more appliance-like than a typical Raspbian installation, I have instead installed a variant of Tiny Core Linux called piCore. This is basically a very small Linux distribution that loads all programs into memory on boot and leaves the SD card alone after this. 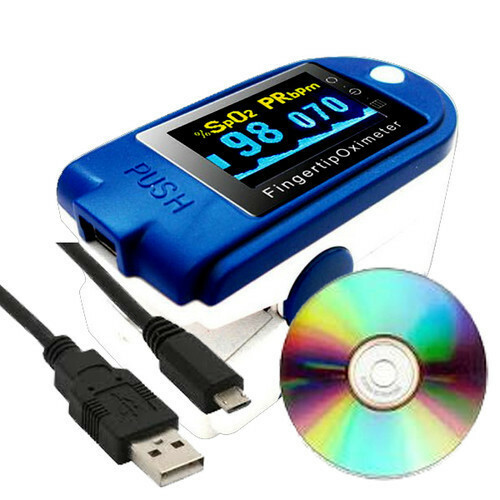 This eliminates the usual risk of corrupting the file system when doing a power-cycle. On the base station I have installed a small python script that continually polls the nRF24L01 radio using the Raspberry Pi’s built-in SPI interface pins. When a data packet arrives, it is buffered (in case of network problems) and forwarded to the database. With my limited data requirements, I could probably use any old database out there without issues. However, given the nature of the data, it was natural to select a so-called timeseries database. For this project I chose InfluxDB, which was very, very easy to set up on my Ubuntu-based file server. It automatically exposes a simple HTTP interface for storing and querying data, which is just what I need for this project. An intranet website. The easiest way. An Android widget. Both the wife and I have Android smartphones. Dedicated hardware devices. This would be a great use-case for my new ESP8266 wifi modules and some 84×48 Nokia LCDs I have lying around. 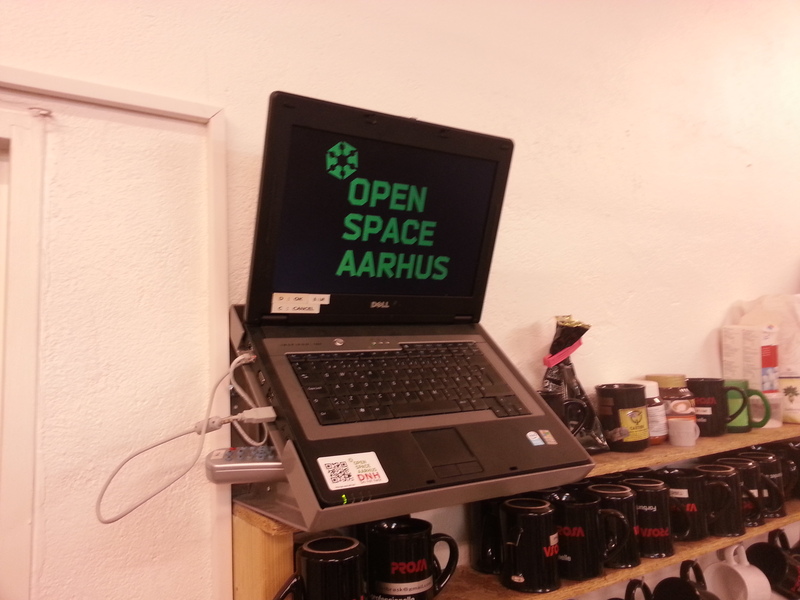 So, we love to have very technical talks at Open Space Aarhus, our Friendly Local Hackerspace™. In fact we love it so much that the first Tuesday every month we host an event called Tech Talk Tuesday, or T³. The general idea is that the board members take turns scheduling a handful of short 15…30 minute talks. But as much as we like to hear nerds drone on about nerdy stuff for hours, we like it even better when they stick to the time plan. Therefore, I decided to make some sort of countdown-timer. At Open Space Aarhus we really like tautograms for some reason, so the name of this contraption was a no-brainer: Tech Talk Tuesday Timer, or T⁴. All hardware must be sourced from within Open Space Aarhus. The timer must be wirelessly remote controllable. The display must be big enough to be clearly visible by all attendees. Any third-party software must be free (as in free beer), preferably open source. All visual design must comply with OSAA’s design guidelines. The timer must be implemented as a single self-contained SVG file. All tricks are allowed, but it must remain a valid SVG file. The timer must work out-of-the-box on a fresh install of any recent Linux distribution with only minimal setup. 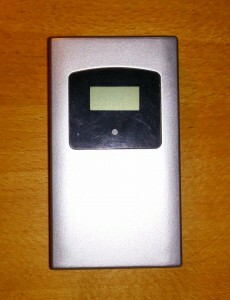 It is allowed to install a browser of choice and whatever software needed for the remote control. In the end I succeeded making a valid SVG file with an embedded OpenType font (as per the design guidelines), some embedded sound effects, and a remote controllable user interface. The SVG works in all major web browsers. Microsoft Internet Explorer is not a major web browser. You can get the code on GitHub or try it out online. The timer has several states, each with its own user interface. 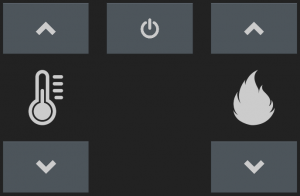 Any input device that can act as a keyboard is usable for this. Press ‘B’ to go to Wallclock Mode. Press ‘D’ to go to the Configuration Screen. Press 0..9 and the arrow keys to set the time. Press ‘D’ to pause the timer. Press ‘C’ to cancel the timer. When there’s 5 minutes left, a warning sound is played. When time’s up, the alarm goes off. Press ‘D’ to resume the countdown. Press ‘C’ to go back to the Logo Screen. In this post, I’m going to discuss a simple bitmap vectorization algorithm that’s compatible with TrueType. The goal is to convert a C64 character set to a usable TrueType font. 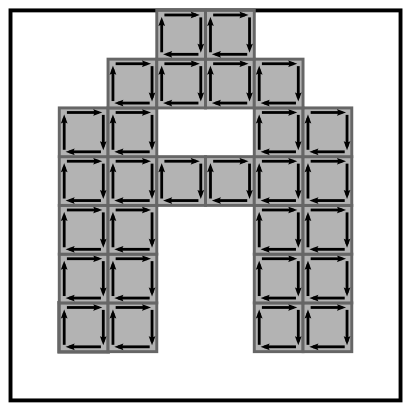 Each C64 character glyph is 8×8 pixels, monochromatic, and monospaced. Because they are monospaced, we don’t have to concern ourselves with issues like kerning. TrueType only has limited support for bitmap fonts. Therefore, we need to vectorize the 8×8 bitmaps. No need for fancy bezier curves. Just crisp retro-looking blocks with 90-degree corners. A TrueType-style glyph in its most basic form (without hinting) consists of a set of contours, and a contour consists of a set of points. Points in opaque contours are specified in clock-wise order and points in transparent contours (e.g. the “hole” in the letter O) are specified in counter-clockwise order. Some letters go a bit below the baseline. 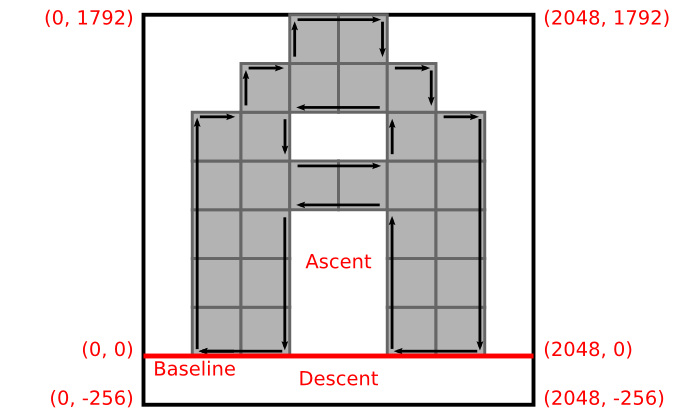 The vertical range above the baseline is called the ascent and the range below is called the descent. Most C64 character sets seem to have an ascent of 7 pixels and a descent of 1 pixel. 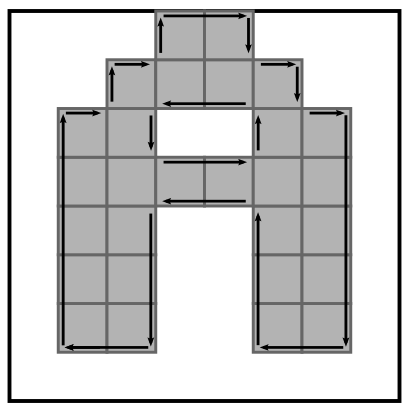 Coordinates in a TrueType glyph are normally scaled such that the glyph will fit inside a 2048×2048 box. If the font has a non-zero descent specified, the Y-coordinate will be negative below the baseline. Assume a typical 8×8 pixel C64 character with a 1 pixel descent. In TrueType-terms each pixel would then be 256 units by 256 units, the lower left corner would be at (0, -256), and the upper right corner would be at (2048, 1792). A contour should consist of as few points as possible in order to reduce complexity. Consecutive points along an axis can be simplified to include only the endpoints without any differences in the rendering of the glyph. Also, the last edge in a contour is implicit. The renderer will simply assume a direct line from the last point back to the first. The letter ‘A’ on a C64. Now we are down to 38 edges. But we can do better. 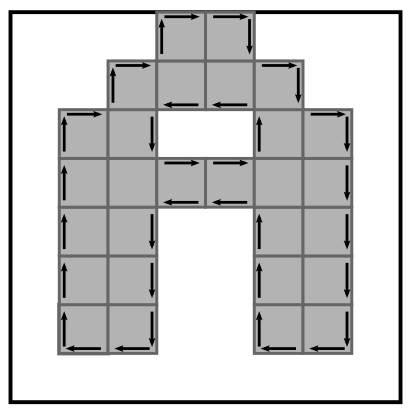 Quite a few edges are consecutive along an axis. These can be merged to yield simpler contours. Please have a look at the complete C64 to TTF python script if you want to know more about this. It can be found at my GitHub account. Next time, I’ll talk a bit about how to map all the characters from the native C64 format into PETSCII, ASCII, and Unicode. Somebody ought to do something! Let’s explore what a TrueType font file looks like on the inside so we can create one ourselves. 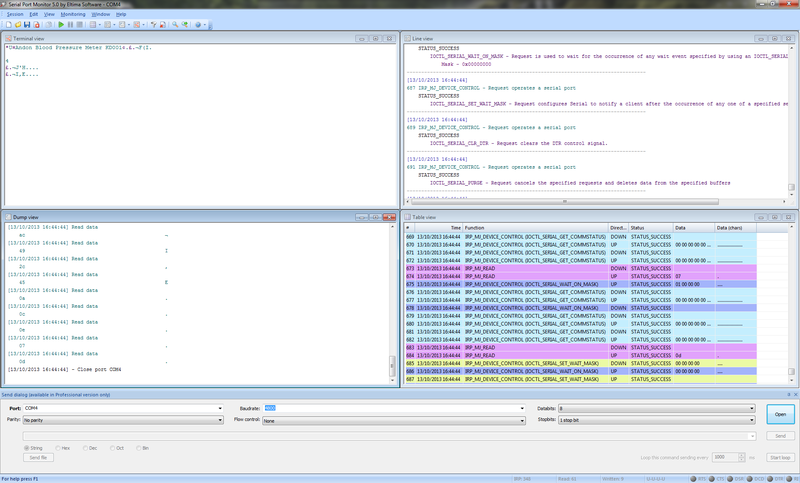 As I’ll cover later, it turns out to be quite possible to do with a bit of coding effort. In fact we don’t even have to do all the dirty work moving bits around and calculate checksums in a binary Truetype font file ourselves. There is (of course) a nice Python package called TTX/FontTools that can help us out. It encapsulates all the relevant data tables, as they are called, but it’s still fairly close to “the metal” and rather difficult to get started with. The main use-case for TTX/FontTools seems to be TTX, which is a command-line tool for converting TrueType files into a corresponding XML-format and vice versa. Users can then manipulate a font in various ways using a basic text editor rather than sophisticated font editor programs, where it can be difficult to see what actually happens to the font behind the scene. But for our particular use-case we are not interested in the tool itself, but rather what makes it tick. It is really difficult to find any documentation or tutorials for this package. Especially if one wants to create a new font from scratch instead of just editing an existing one. I’ll get back to this later. This post is meant as an introduction to the subject. All the dirty details will be fleshed out in upcoming posts. I have implemented a conversion tool in Python and if you can’t wait for the details, you can have a sneak-peek of the code on GitHub. Vectorizing the 8×8 pixel bitmaps into glyph into a set of contours. 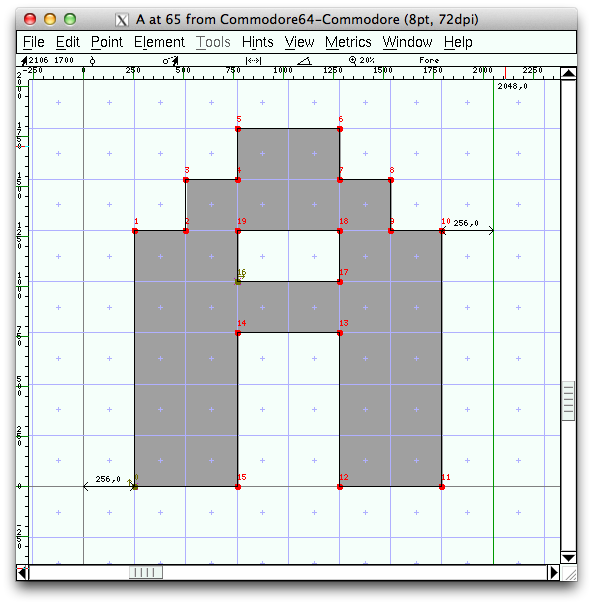 Mapping from the native C64 format into ASCII (and Unicode). 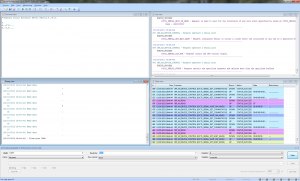 Generating the actual TrueType file using TTX/FontTools. I’ll address these three sub-problems across the next three blog posts. Python – A very nice programming language. Like Perl but less painful and much prettier. TTX/FontTools – Without this package I probably wouldn’t have bothered with TrueType. FontForge – A TrueType font editor. Nice for checking the sanity of font files. If your operating system is a derivative of Debian Linux (like Ubuntu or Linux Mint) then Python is probably pre-installed and the other two packages are easily installable through the built-in package system. It’s also pretty easy to get it to work in Mac OS X. It probably also works in Windows, but then you’re on your own.. It seems that the file format specification varies a bit depending on who you ask. Traditionally, there are three big players in this field, Microsoft, Apple, and Adobe, and they don’t agree 100% on what a proper TrueType file should look like. I will primarily be using Microsoft’s definition, as Apple’s specification on required tables in the file lacks the “OS/2” table, which is used by Microsoft Windows itself as well as Microsoft Internet Explorer when loading fonts from a website. There are some licensing bits in here that tells Internet Explorer if it’s OK to download and use this font.